2,000+ entertainment channels. Choose from the widest variety of streaming entertainment, including movies, TV shows, music, sports, news, and more. Stunning HD video quality. Immerse yourself in the action with rich, vibrant video streaming up to 1080p HD. Quick and easy setup. Sets up wirelessly in minutes with just a few simple steps. Channel shortcut buttons. Jump straight to favorites with one push of the remote. One-stop search. 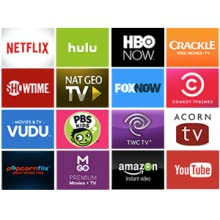 Find your favorite movies and shows in a flash from top channels like Netflix, Hulu Plus, Amazon Instant Video, VUDU, and MGo. The Roku 1 is the best basic player money can buy. 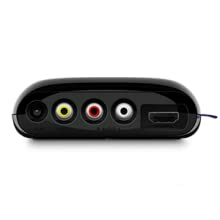 Enjoy stunning video at up to 1080p HD* . Roku 1 comes standard with composite cables just in case your TV doesn't have HDMI. Enjoy more than 2,000 streaming channels, offering access to 250,000+ movies and TV episodes, plus, music, sports, international programming, kids programming and more*. Search the widest selection of channels by title, actor, or director. Follow new movies you want to watch, and receive automatic updates when they are ready to stream. *Some channels require payment. Channel availability can change and varies by country. Availability of 1080p HD video limited by channel provider and speed of broadband connection. 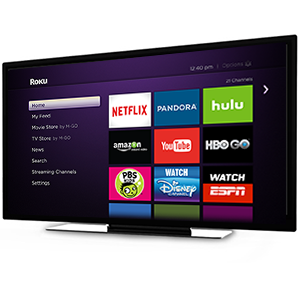 Every Roku player provides access to 2,500+ channels on demand offering 300,000+ movies and TV episodes, and the ability to search across more than 20 top streaming channels to find the best price and option. With the Roku Feed, you can follow movies, TV shows, actors, and directors and get automatic updates when new content is ready to stream, or when the price drops. 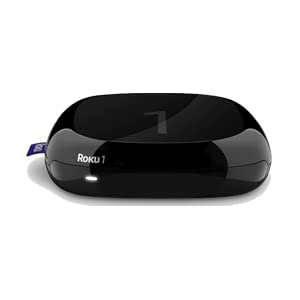 Control the Roku 1 with the included remote or install the free Roku app and use your compatible smartphone or tablet. Every Roku player provides access to 2,500+ channels on demand offering 300,000+ movies and TV episodes, and the ability to search across more than 20 top streaming channels to find the best price and option. Some channels require payment. Channel availability can change and varies by country. 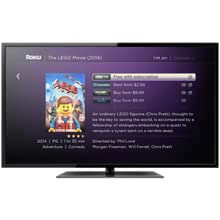 Search across 20 top channels by keyword, title, actor, or director using your remote or the Roku mobile app. 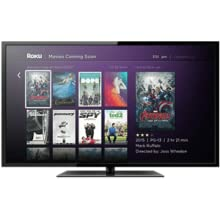 Roku Search makes it easy to find what's on, where you can watch it for free, with a subscription or how much the different channels charge to rent or buy. Some channels require payment. With the Roku Feed, you can follow movies, TV shows, actors, and directors and get automatic updates when new content is ready to stream, or when the price drops. Roku 1 comes standard with composite cables just in case your TV doesn't have HDMI. For full HD, you'll need HDMI though.